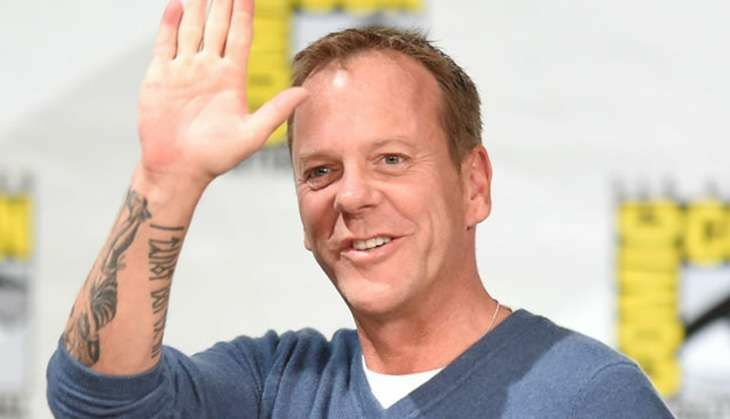 Home » international news » Can Kiefer Sutherland be US president, please? Because American cinema and television are not ashamed of dealing in Trump's currency of populism in their treatment of politics "anti-political" candidates have frequently been put on screen as a means of indulging the desire of audiences for something different from the politicians they are served up in reality. In comedies from Frank Capra's Mr Smith Goes to Washington (1936) to the more recent Head of State (2003) and Man of the Year (2006), Hollywood has revelled in the fantasy that the "ordinary Joe" can storm the barricades of the establishment and change things for the better. These films fulfil a desire for authenticity in politics, where candidates are unvarnished truth-tellers here to deliver the "will of the people". As I argue in a chapter of a new book on this topic, these recent fictional treatments of the presidency show the US's problems to be considerably more intractable and complex than you might think if you listened to somebody like Trump (or, for that matter, Bernie Sanders). It is why new ABC show Designated Survivor is the most interesting of the recent political crop, drawing as it does an obvious contrast between contemporary presidential fiction and reality. Kiefer Sutherland plays Tom Kirkman, a secretary of housing and development suddenly turned president when the Capitol Building is blown up in a terrorist attack occurring during the State of the Union address. As the "designated survivor" - the government official asked to remain in a secure location during this event who will be next in the line of succession should the unthinkable happen - he has the constitutional duty to assume the presidency after the attack. He has no experience of high office, let alone the ability to provide a response to a major terrorist incident on American soil. He is perceived as illegitimate, weak, intellectual rather than decisive (because - and, believe it or not, this is a common trope in presidential fiction - he wears glasses). But unlike the recent, hyperviolent revenge fantasies Olympus Has Fallen (2013) and White House Down (2013), Designated Survivor prescribes a sober, measured and careful response to the attacks. Kirkman is restrained, thoughtful, and unwilling to act until he is absolutely sure of who has done this and why. In Designated Survivor, Jack Bauer is president, but one who appears to have learned the lessons of his predecessors. He has the temperament necessary to defend the nation in turbulent times, and he will protect the constitution, liberal values, and the rule of law. When Islamophobia rises as a result of the terrorist atrocity, Kirkman steps in. He is not really even a "fantasy" candidate, but simply a safe pair of hands (as Hillary Clinton increasingly appears to be). The outlandish fantasy president once so popular in film and television, it seems, will no longer suffice when one of 2016's all too real candidates has shown us what could happen if our dreams (nightmares) come true. It is a laughable irony that President Kirkman - a fictional creation - could be more attuned to the dangers facing the world than a President Trump. Television drama is showing us that perhaps we should no longer hold out for a hero, but simply a grown-up.